Brands are everywhere. Branding is central to political campaigns and political protest movements; the alchemy of social media and self-branding creates overnight celebrities; the self-proclaimed âgreeningâ of institutions and merchant goods is nearly universal. 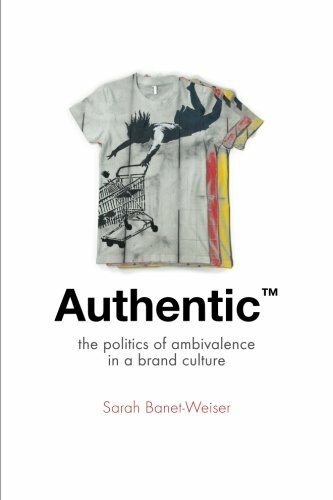 But while the practice of branding is typically understood as a tool of marketing, a method of attaching social meaning to a commodity as a way to make it more personally resonant with consumers, Sarah Banet-Weiser argues that in the contemporary era, brands are about culture as much as they are about economics. That, in fact, we live in a brand culture. In a culture where graffiti artists loan their visions to both subway walls and department stores, buying a cup of âfair-tradeâ coffee is a political statement, and religion is mass-marketed on t-shirts, Banet-Weiser questions the distinction between what we understand as the âauthenticâ and branding practices. But brand cultures are also contradictory and potentially rife with unexpected possibilities, leading Authenticâ¢ to articulate a politics of ambivalence, creating a lens through which we can see potential political possibilities within the new consumerism.